There are trends that pop up everywhere until everyone is sick of it. (I get it.) The "Keep Calm and Carry On" signs. 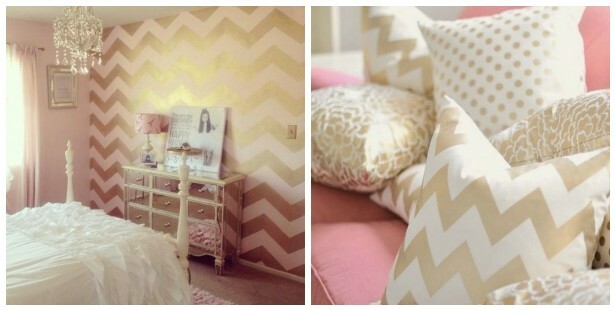 The abundance of chevron. And lately, things like industrial metal, subway tile, and shiplap. For me, it boils down to this: If you love something, put it in your house. Fill your space with things that make you happy. Try trends -- if you tire of them, let them go. But if you really end up loving something only to find out it's on the "sooo last year" list six months later, don't be discouraged. Own it. Love it. Live with it. I love Funky Junk Interiors' $7 burlap coffee bean sack window shades. Burlap done right! It's in, then it's out. But I will never tire of burlap. It reminds me things I love: bygone eras and coffee sacks. The rough, beige material adds a neutral hue and bit of rustic texture to any room. 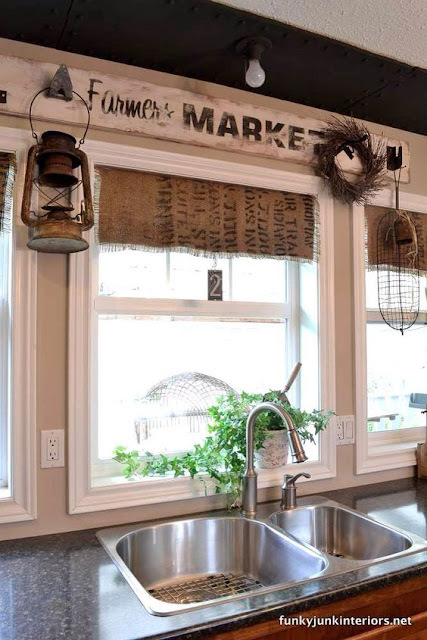 I like burlap saps hung on the wall (framed or not). I love burlap lamp shades on contrasting lamp bases... like fancy Victorian or sleek glass. And most of all, I love burlap pillows. But why would you want to cozy up on a burlap pillow?! You ask. Because of just that. I wouldn't. So I know that burlap pillows are guaranteed to stay in pristine condition because I won't be inflicting the wear and tear of cuddling upon them. 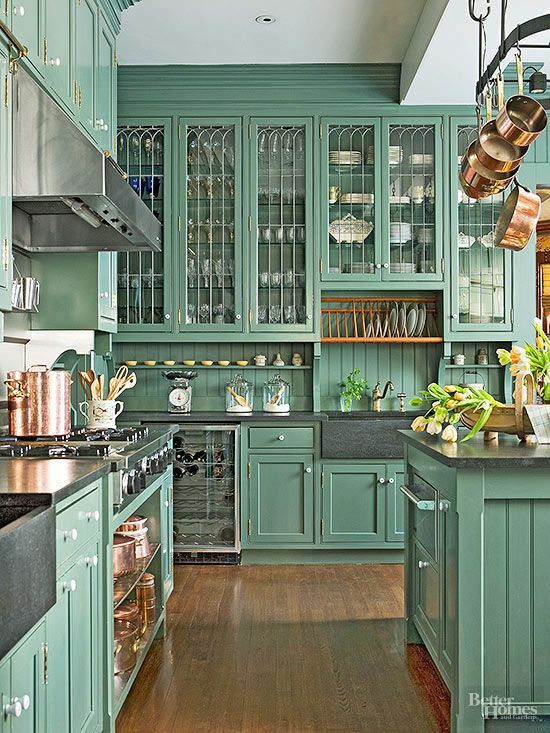 #HouseGoals: Someday – as God is my witness (sorry to get all Scarlet O'Hara on you there) – I will have a pantry full of blue mason jars. 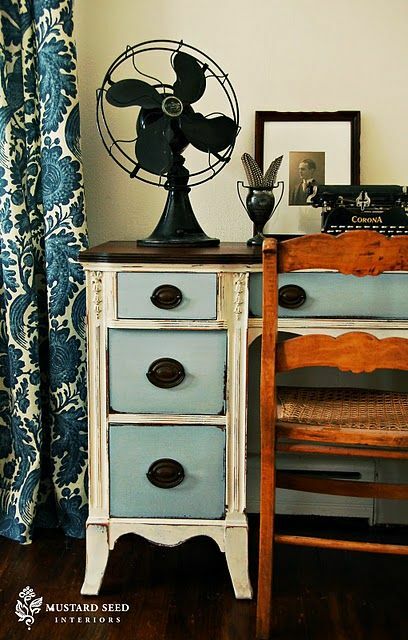 Like this one from Apartment Therapy. I get it. 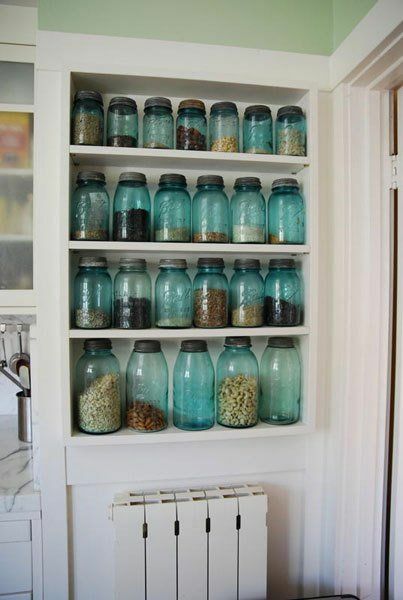 The world has had it with putting everything in a mason jar -- from craft supplies to salads to beauty products. But I've kind of always been in love with the pretty blue glass Ball jars whether I buy them from an antique shop or off the shelves of Target. I use them in my bathroom to corral lipsticks and toothbrushes. I use them in the office for pens. Most commonly, I use them as everyday drinking glasses. And I don't see my usage stopping anytime soon. For me, they're a daily staple. It's experienced quite the revival in the last few years thanks to Rehab Addict, Fixer Upper, and a newly re-sparked interest in renovation. It's blended in for decades, and then you go somewhere that's a century old and see authentic subway tile and get all giddy about it. People think it's "too everywhere," but I don't think it's going anywhere. Because it never did. It's a classic. 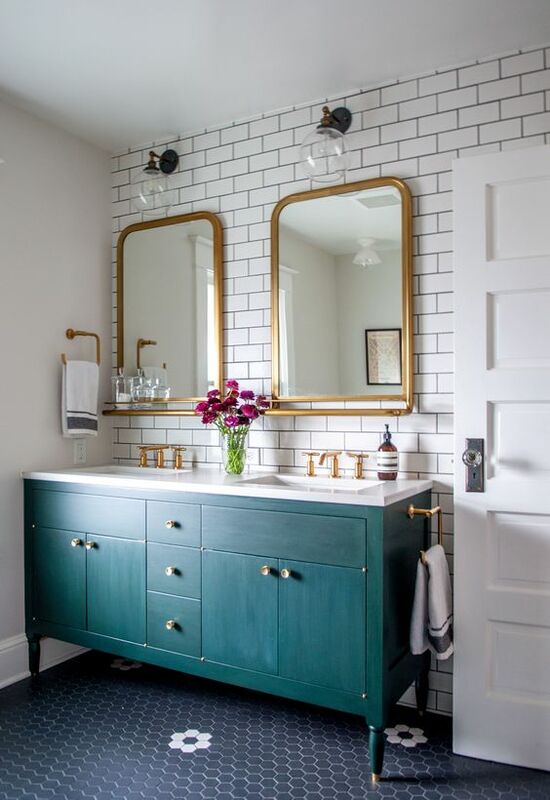 I may not be on board with the newfangled variations on it, but give me some white subway tile with dark grout and I'll live happily ever after with it for years. I appreciate modern copper, but I really love it when it's got more of an aged feel – like the copper pots and pans in this pretty kitchen from Better Homes and Gardens. It's my favorite metal. And I like it on everything. Copper everything all the time. Please and thank you. This is gorgeous. Well done, Graham & Brown. Well done. 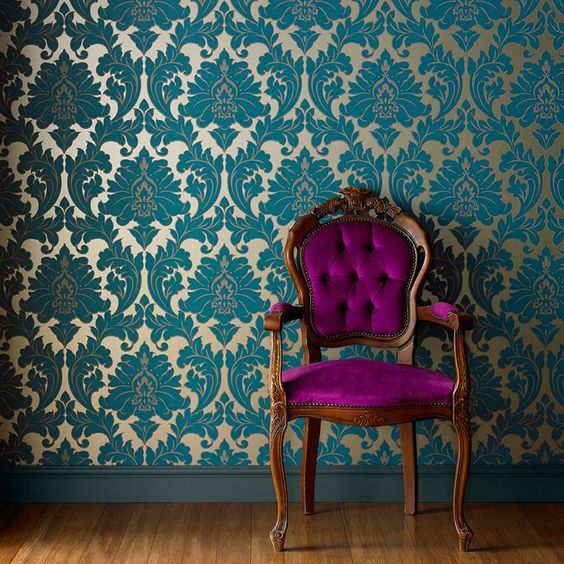 I blame it on Sofia Coppola's Marie Antoinette... my love affair with damask goes back about that far. I know there's a line and that it's easy to go overboard on this ornate pattern. And honestly, I'm not a fan of it when it's just stark black and white. But black and beige, black and gray, or any other variation... bring me my smelling salts! I'll be swooning! 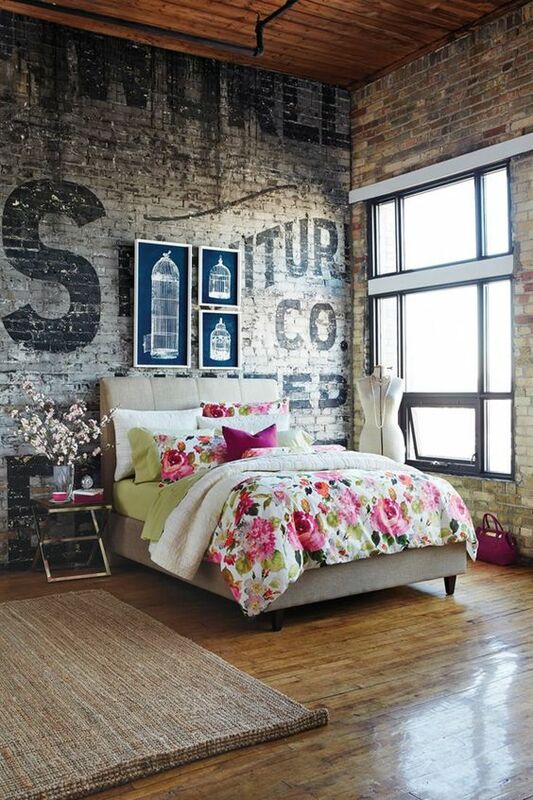 I really like it on textiles: rugs, curtains, bedding pillows. Maybe I just like to pretend that I'm French royalty for a couple minutes out of each day. Either way, it's lovely and I'm not letting it go. 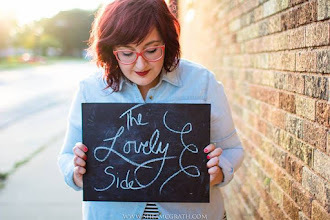 Since I was a little girl, I've had a deep-rooted interest in anything old, vintage, or retro. I like old things -- things that other people have owned. They have stories. Who cooled down with my 1940's fan? Who gathered round my 1920's heater to keep warm? What did someone type on my 1890's typewriter? Did anyone dance to tunes being broadcast through my 1960's radio? I think about things like that all the time. It's romantic. And I will always fill my home with romantic bits and pieces of history. I just can't understand why anyone would get tired of or paint over exposed brick. Especially in old buildings. It's just so gorgeous -- full of texture and warm color. It's just so versatile -- fit for any atmosphere from rustic to vintage to modern to industrial. I can only tolerate the zig zags in small doses -- like on the small lamp shade in my living room. 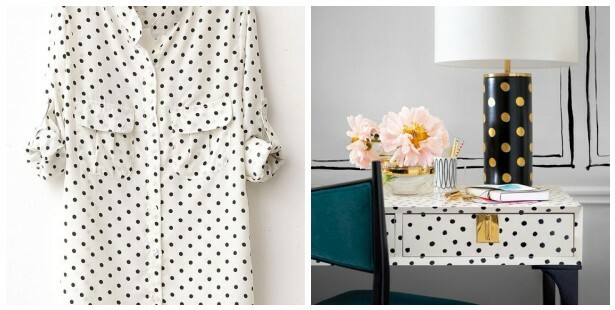 I love to wear polka dots, but you won't spot spots in my home. Same thing. Love them on a shirt, but in a room I prefer them on the floor. And hot pink is a color that I always know I'll get tired of within two or three months. I know this from experience. 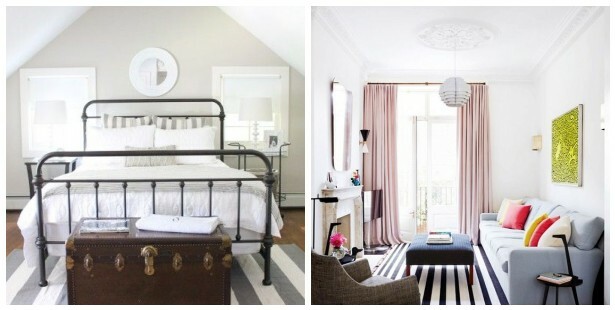 I've tried incorporating it multiple times (once, an entire pink bedroom... another time, just as a rug), but I always grew weary of the hue. 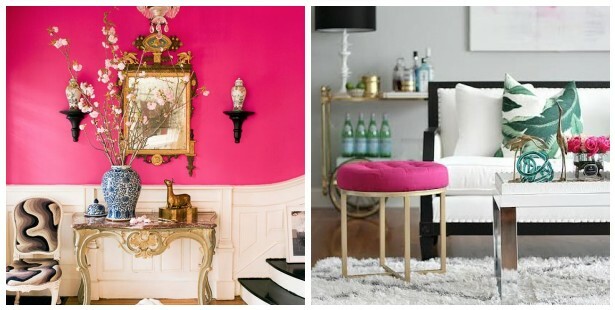 Do you often feel discouraged by those lists that tell you what decor trends are on the way out? What "trends" will you never let go? What trends could you live without? I love that bathroom, so pretty! Isn't it?! :D I wish mine were that BIG and beautiful! 1. Wrought iron. Very Victorian! I don't foresee myself buying any more, but my bed and lamps are all stylistically alike with a curvy wrought iron look. 2. Sense of humor. My shower curtain has a yellow submarine on it because it makes me laugh! 3. Fiestaware. The company is vintage and the colors are popping! So far, I have dishes in turquoise, lemongrass, sunflower, paprika, and scarlet! 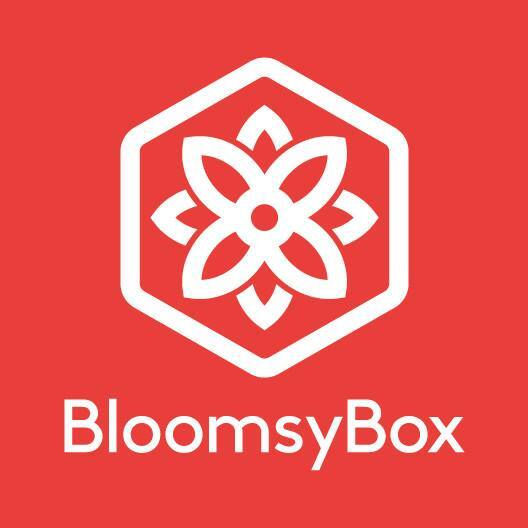 The trend I like, but haven't tried yet: Mid-Century Modern! I love the sleek look of the 60's but goodness knows this apartment doesn't have room for any more furniture! For the next apartment in a few years, maybe? COUNTRY AMERICANA. Stars and burlap, figurines of faceless little Amish children, kitschy family quotes "This is a family who loves each other"-esque. I could gag! Coincidentally, this is my mother's aesthetic. 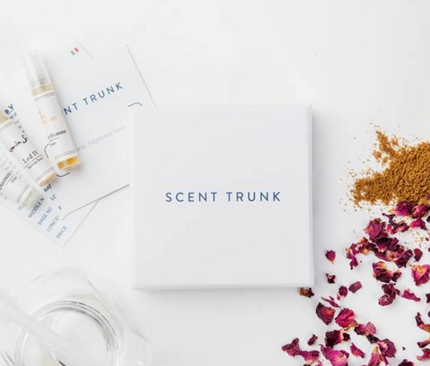 I can't wait to try some of theses trends! Ha ha!! COUNTRY AMERICANA. I agree with you on that. Gag. I agree with you completely on copper - I absolutely love it - and polka dots. I've never understood the appeal of polka dots on anything, really. Brick thing .. i love that. I agree why people paint over that, it look so elegant and different .. just need polished wall to get rid of dust particles else its just perfect!